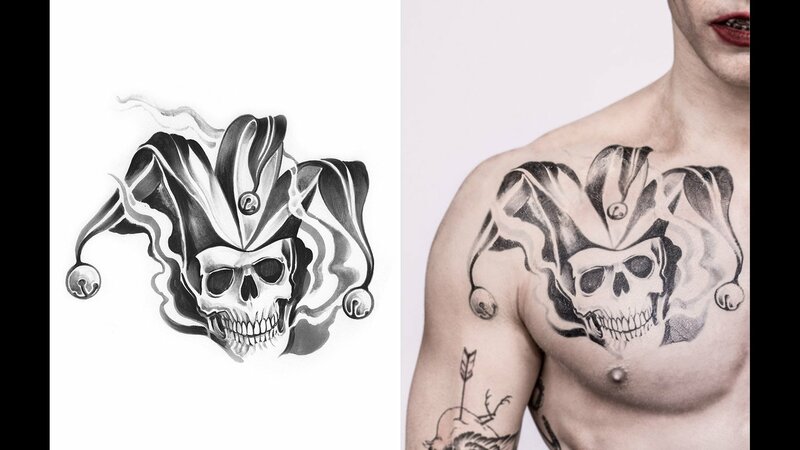 Tattoo Guide ~ The Joker. VUDU's exclusive Harley Quinn Tattoo Guide details Harley's 纹身 in 'Suicide Squad'.. HD Wallpaper and background images in the Suicide Squad club tagged: suicide squad 2016 movie film the joker joker jared leto tattoo tattoos tattoo guide vudu photo. This Suicide Squad photo might contain 肖像, 爆头, 特写镜头, 特写, 爆头特写, 皮肤, 肤色, 裸色, 偏下体, 暗示裸体, skintone, 部分裸体, 隐含的裸露, 部分下体, and 隐含的裸体.